Believe it or not, many homes get constructed without an initial rain gutter system. Although it may not seem necessary, a quality gutter installation can help prevent unnecessary issues to your house’s foundation slab, as well as other common structural issues. Some homeowners may think that if their building company didn’t include it in the initial construction process, that it must not be something that they need. However, homes that don’t utilize a gutter drainage system soon develop problems along their roof line, their concrete slab, and even their exterior walls. Even if you might not be a fan of how rain gutters appear, there are several style choices to consider. Chances are, when you choose Full Draw Construction, we’ll have a home drainage system that suits your needs and preferences. Forgoing a rainwater gutter track will only lead to moisture and water damage problems in the future. Instead, choosing us for your installation and repair team means getting the best protection possible for your building. Don’t wait until after your home’s foundation begins crumbling to decide to protect yourself from moisture issues. Call our team today to request a complimentary quote to save more on installations. Although the majority of gutter systems are relatively similar to one another, several installations can provide you with a unique appearance over those of your neighbors. Whether you prefer K Style gutters, Round Gutters, Seamless Gutter systems or any other type, we remain the expert choice for your home each time. All three systems have their unique properties and considerations, but one thing that they all have in common is better defense against rain, water, and moisture. 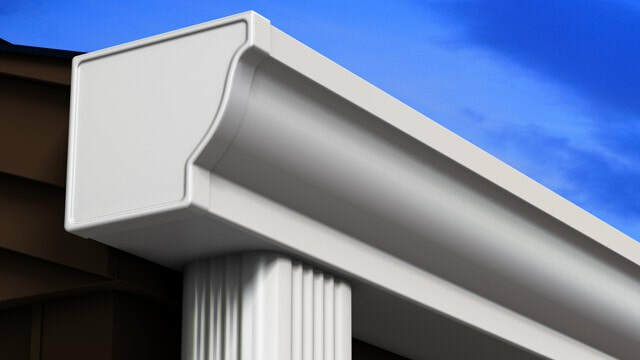 When it comes to selecting the ideal type of rain gutter for your home, the number one consideration should be how well it will perform connected to your roofline. Following appearance and performance, you need to think about the maintenance end of things. Sectional gutter systems will eventually encounter leaks between panels, while all tracks will require you to periodically clean out leaves, animal nests, storm debris, and other obstructions. No matter what style of gutter system is the perfect choice for your home’s needs, our team guarantees the best in installation quality on every job. The proven way to prolong maintenance problems from developing is always with a better value of initial installations from your local gutter service experts. 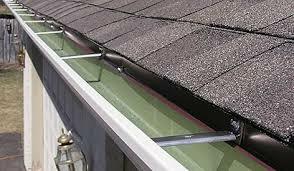 K Style Gutters, also known as ogee gutters, are among the more popular forms of tracks to install. Many homeowners prefer the appearance of K Style because it resembles interior crown molding. As ogee systems remain popular, they also are among the most affordable to get installed. Round Gutters had fallen out of fashion, but they are making a comeback today as they get offered in more colors than before, as well as a variety of material types. For instance, many upscale homes may have round copper gutters installed that are sure to turn heads. Seamless Gutters only have seams at the end corners as opposed to traditional sectioned styles. That means fewer leaks and maintenance concerns overall. Seamless systems can provide you with many years of dedicated draining service. Make sure that your home receives the best installation with Full Draw Construction.